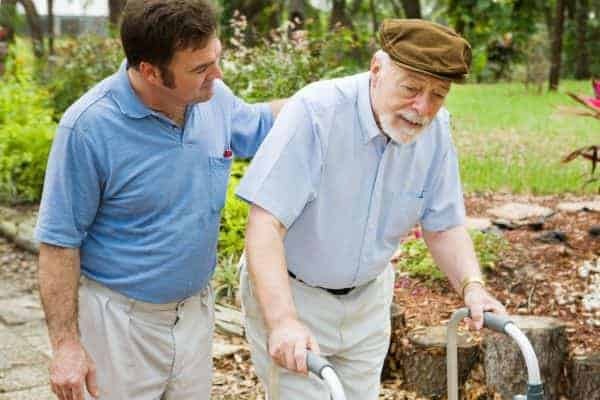 Caring for the elderly, especially when that person is one of your own parents, can be demanding both emotionally and physically. Here we look at the practical challenges that come with caring for an elderly parent and how to overcome them. In other posts we also consider the emotional challenges of caring for an elderly parent or relative and the financial challenges of caring for the elderly. When a parent becomes older, and unable to care for themselves, you may well invite them to live with you so that you can provide care for them. This can be challenging when you already have a family, and there’s no doubt that the situation can put a strain on any household. And yet, so many people opt for this solution in order to prevent their parent from going into a nursing or residential care home; and to save both parties from paying care home fees. 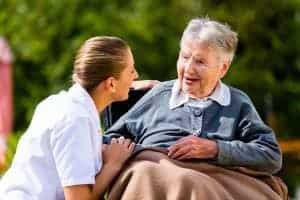 In this situation, it can be very hard to maintain a healthy balance between family life and ensuring that your parent is happy and healthy, particularly when you are physically caring for the elderly parent a lot of the time. It is emotional and can be draining, and there are also many practical challenges that can be both complex, and difficult to overcome. The extra cost of care for an elderly parent in your own home can mount up. Heating, electricity and other utilities being on all day adds up quickly. Plus feeding another person, and then all the additional costs of things like medicine, and at-home nursing care that you cannot provide. Then there’s the cost of having to take time off work, or possibly even giving up work altogether. If you have to sell your parent’s home in order to adapt your own home for them this can also mean losing out on your inheritance. Looking after your children, grandchildren and partner on top of caring for the elderly parent is tough going. There’s so much to get done, and only so much time and energy to put into it all. If you have young children it can be very hard to help them understand why you can’t give them as much time as you did before. It would be lovely if everything was as cut and dry as you and your parent coming to an agreement that they need help and you will help them, but it is rarely that simple. Knowing what to do when a parent is fighting against losing their independence is very hard, particularly when they are in danger and need practical help most of the time. If they used to drive, for instance, it is so hard to help them come to terms with the fact they aren’t safe to drive anymore. Having conversations early is important so you both know what you would like to achieve when the need arises to think about care options. Most parents don’t expect you to give up your home to accommodate them. Your home is very personal to you, decorated and laid out how you like it. Letting somebody into your home who needs the home adapted to their needs along with special equipment and strangers being present for specialist care jobs, can be very hard for everybody to come to terms with. If an elderly parent is supported to remain in their own home, many of these adaptations can been accessed for free via the NHS and a referral to an Occupational Therapist. When a parent has health issues that cause them to be aggressive towards other members of the family, or to behave unpredictably, it can be hard to explain to younger children why this is happening, and to protect them from the verbal abuse they may receive or help them to cope with certain behaviour the have not been in close proximity to before. But it can help to remind them that you parent is also their grandparent, that they love them and, most importantly that their behaviour is usually outside their control. As with adults caring for older people, especially where their mental capabiloties are impaired, there are a range of strategies to minimise certain behaviour and cope with difficult behaviour. 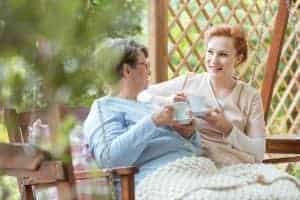 These are just some of the many practical challenges you may run into when looking after a parent, and of course these problems can change and apply to different scenarios, such as you moving in with your parent. There are many benefits to looking after a parent, but it is also worth ensuring you have considered other options such as live-in care to make sure you and your parent are making the best possible choice for all involved. Most important, is that you and your parent look at all the options available to you. Live-In Care enables people to stay in their own home for as long as they would like to. Many people just don’t realise that this is an option. What Is Live-in Care and Why Should You Care? It is so important to have those conversations early with your parents. I sat with my Mum and Dad a few years ago and sorted out a Power of Attorney and Wills and even a Do Not Resuscitate order for both of them. It seemed such a distant thing at the time, but when, only a couple of years later, we were faced with the decision, we knew what they wanted and it left us without the guilt of making the wrong decision. Another great read. Thanks. Thanks for reading Fiona – you’re right that having those sometimes difficult conversations is best done sooner rather than later. As you say, then you know that you are making the right decisions for your loved ones later on. Its a sad fact that 90% of people do not consider their care options until a crisis happens. For those of us working in the sector, we are far more tuned into the need to talk to our own parents well in advance of the need for care so that atleast we know what their preferences are. The other important component is ensuring that decision making authority is discussed too. Having the right POA’s in place (Powers of attorney) is critical to ensuring that as children we have the right to execute the decisions our parents want us to. In an ideal world you would be able to agree the type of care in advance and then put it in place when the time came but, in practice, it is not always so straightforward. Some parents (or in my case parents-in-law) are never willing to discuss care options – even when my mother-in-law had been diagnosed with dementia all of us were avoiding making decisions on what to do for the best. On top of that my father-in-law adamantly refused to allow her to go into a care home and tried to care for her himself initially. But, of course, he was elderly himself and eventually she did have to go into a home. I wish we had known about live-in care at the time – it might have avoided a lot of heartache.. I agree with the commenter who mentioned how important it is to have these conversations early with our aging parents. Have the talk well before they are in need of live in or daily care so that you both know what to expect when the time comes.